On today’s episode of THE FOOD SEEN, how did two competitive swimmers inspire the legend of a world famous 6-ounce chocolate chip walnut cookie? 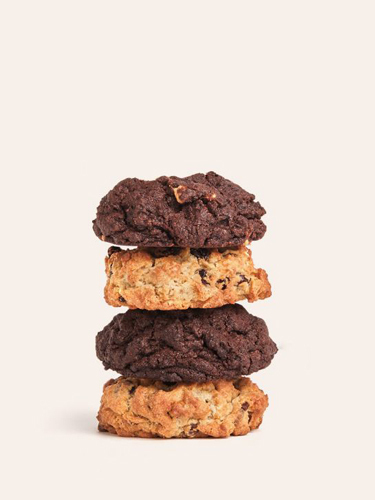 Levain Bakery was started by two early risers, Constance McDonald & Pamela Weekes were both attune to 4AM wake-ups to train for triathlons, and since 1994, they used that same drive and determination to construct such celebrated cookies, they still bring steaming lines of regulars and culinary tourists to the corner of 74th & Amsterdam (now with outposts in the Hamptons and Harlem as well). Join us at a respectable hour (3PM EST every Tuesday!) to hear how the cookie didn’t crumble.